Usually I highlight novels which have been around for some decades however, I have decided that the circumstances surrounding the new book by Philip Kerr warrants special attention and allowance to be on the Classic Crime page to celebrate the Bernie Gunther series, the first of which, March Violets appeared in 1989. Metropolis which Kerr finished just before his death in 2018 takes us further back than the first book, back to 1928, so although this is the last book, it is a great jumping on point for those of you who haven’t read any of these books before. I had the joy of sitting to dinner with Philip at Harrogate some years back and he was a great raconteur with plenty of stories and I’m sure he wouldn’t mind my saying, a lot of name dropping… but hey, if you can, why not! He was extremely entertaining and had no airs nor graces about him. So, with this Classic Crime page we salute a talent that has been taken far too early, but thankful that he leaves a great legacy for many readers, past, present and future. 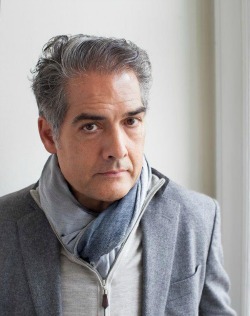 Philip Kerr (22 February 1956 – 23 March 2018) was a British author, best known for his Bernie Gunther series of historical detective thrillers. Kerr was born in Edinburgh, Scotland, where his father was an engineer and his mother worked as a secretary. He was educated at a grammar school in Northampton. He studied at the University of Birmingham from 1974 to 1980, gaining a master's degree in law and philosophy. Kerr worked as an advertising copywriter for Saatchi and Saatchi before becoming a full-time writer in 1989. A writer of both adult fiction and non-fiction, he is known for the Bernie Gunther series of historical thrillers set in Germany and elsewhere during the 1930s, the Second World War and the Cold War. He also wrote children's books under the name P. B. Kerr, including the Children of the Lamp series. Kerr wrote for The Sunday Times, the Evening Standard, and the New Statesman. He was married to fellow novelist, Jane Thynne; they lived in Wimbledon, London, and had three children. He died from cancer on 23 March 2018, aged 62. Just before he died, he finished Metropolis, which has just been published. 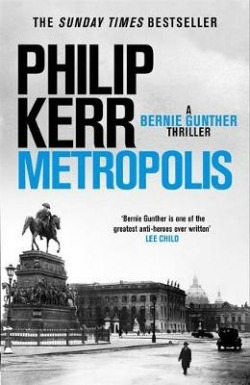 Berlin 1928 and Bernie Gunther joins the murder squad at Alexanderplatz, ten years after the end of World War 1 and the birth of the new republic that would become known as Weimar. This is a city haunted by mangled veterans and debauched on an epic scale – reflected in a spate of violent prostitute murders. Bernie’s new bosses, Chief Bernhard Weiss and hard-bitten senior detective Ernst ‘Big Buddha’ Gennant, have been unable to apprehend a killer who has taken four lives in as many weeks, scalping his victims and leaving behind a bewildering series of clues. With a febrile political climate in which the Nazis are on the rise, the failure of the Jewish Chief to apprehend his suspect is being used by propagandists determined to ‘clean up’ the decadent city. No sooner has Bernie begun his new job then a fresh life is claimed – this time the daughter of one of Berlin’s preeminent gangsters, whose trail will lead Bernie through the most outrageous nightclubs and dangerous corners of the pre-WWII city. So we must say Goodbye to Bernie at the beginning and his very first job as a murder detective. There could not be no more pertinent and evocative setting than the Weimar Berlin of Sally Bowles and her green fingernails, Berthold Brecht and Lotte Lenya, Fritz Lang and Thea von Harbou, Otto Dix and George Grosz – most of whom make vivid cameo appearances in Phillip Kerr’s 14th and final novel to feature the philosophic Gunter, completed just before the author’s untimely death last year. There has been no greater guide to the traumatic history of 20th century Germany than this chain-smoking champion of the lost, a WWI veteran whose hallucinatory flashbacks illuminate the narrative like falling bombs. Kerr’s achievement with his series amounts to a serious work of art, just like those of Lang and Grosz that share a common title with this novel. This final journey with the author and his immortal creation is bittersweet with the knowledge of that parting, and despite its hardboiled exterior and satisfyingly labyrinthine plot, aches with the beauty of last moments shared, of purpling twilights on Unter Den Linden in this “large bright mirror to the world, a marvelous reflection of life in all its fascinating glory” that is the Berlin they loved.